Grads of one of the world’s top startup incubators are choosing to remain in the district for access to transit, arts scene + more. Midtown is a thriving hub for tech companies of all sizes, from Fortune 500 giants like NCR down to startups with just a handful of employees. Many of these smaller companies get their start at Georgia Tech’s Advanced Technology Development Center (ATDC), one of the world’s top startup incubators. At any given point, more than 100 companies are going through ATDC’s various programs. The process definitely pays off: 90 percent of ATDC companies are successful after five years, and these companies have generated a combined $12 billion in revenue in Georgia. Once a company proves it is sustainable, robust and able to pull in at least $1 million in revenue per year, it’s time to leave the nest. But many companies who graduate don’t look too far for office space. Lots of them choose to plant their flag in Midtown, though office space can be costly — in 2018, average office rent was $35.97 per square foot, the highest among all submarkets. We spoke with six different tech startups that call Midtown home and asked what kept them in the district. Florence Healthcare has office views of Downtown and Midtown from Bank of America Plaza. Steve Robb, CEO of Cognosos, which allows customers like car dealerships to track assets and inventory, said Midtown’s four MARTA stations, bus service and access to other modes of transit are a big attractor for his company. First Performance Global, a platform that captures and augments credit card transaction data in real time, takes advantage of Midtown Alliance’s transportation benefits for employers. Midtown Transportation tailors commute options programs at no cost to area workplaces, and it tracks results to keep employers informed about how much money employees are saving by choosing commute alternatives. No matter what type of cuisine you’re in the mood for, Midtown likely has it within walking distance. The district also has a plethora of good spaces available to rent for meetings, said Brooks Robinson, co-founder and CEO of Springbot, a personalized eCommerce marketing platform. 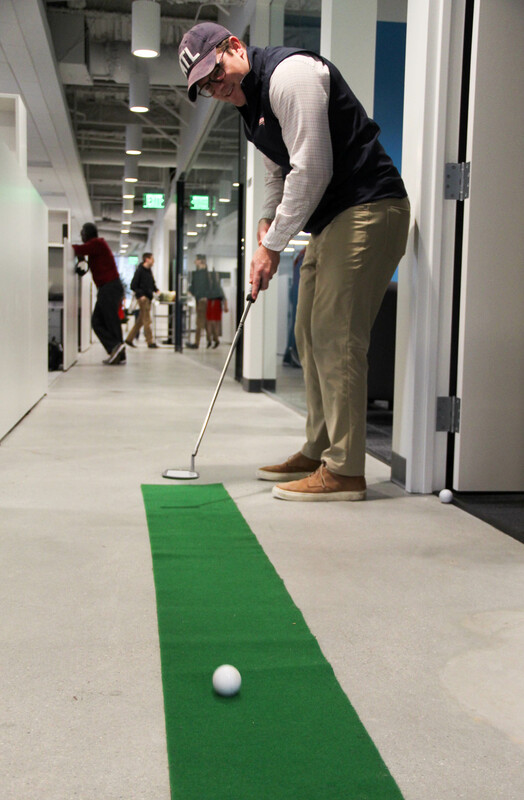 A putting green at Groundfloor's offices is a popular way for employees to spend their break time. 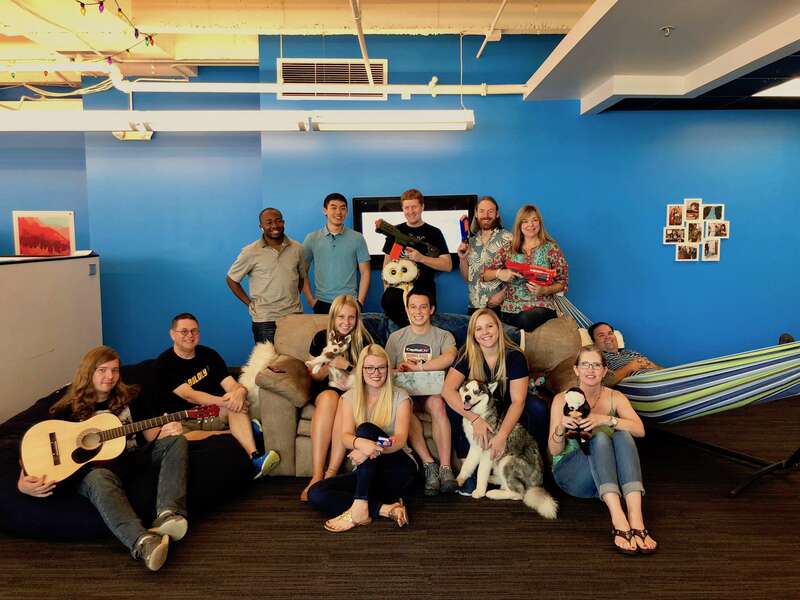 Clean Hands Safe Hands, which subleases its office space at 730 Peachtree Street from another tech company, Kabbage, is allowed to have up to two dogs in its office. Clean Hands Safe Hands has both two- and four-legged team members. 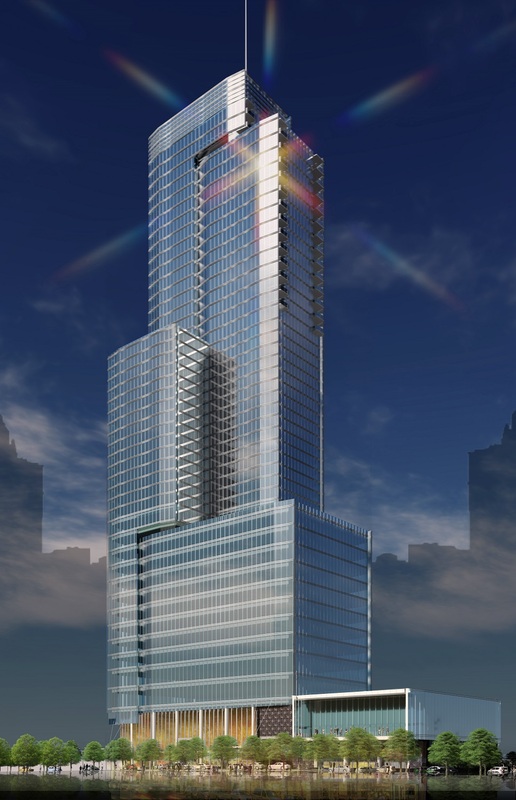 First Performance is also located at 730 Peachtree, a building that has recently undergone a major makeover. 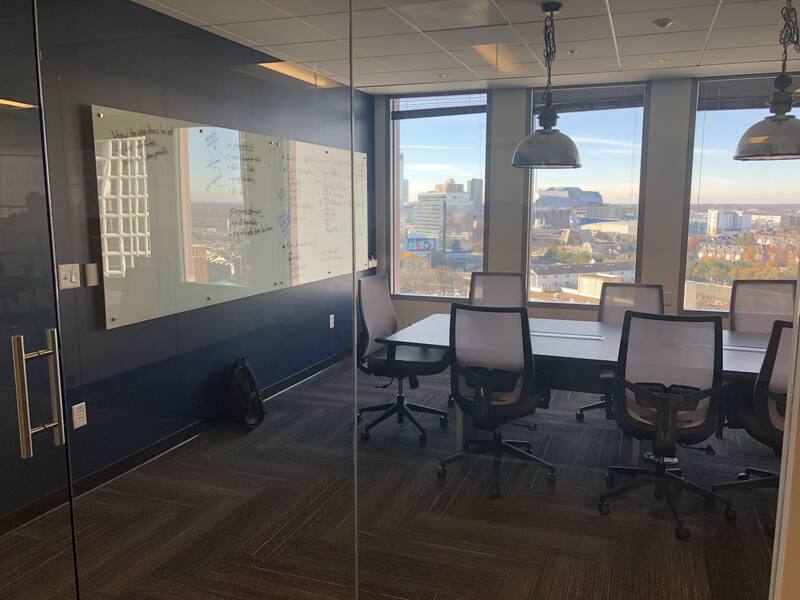 When Groundfloor, a company that allows people to fractionally invest in real estate, was looking to move out of the ATDC, it was important to CEO Brian Dally to find offices with a “modern, updated feel.” Groundfloor eventually chose to lease space at Bank of America Plaza. 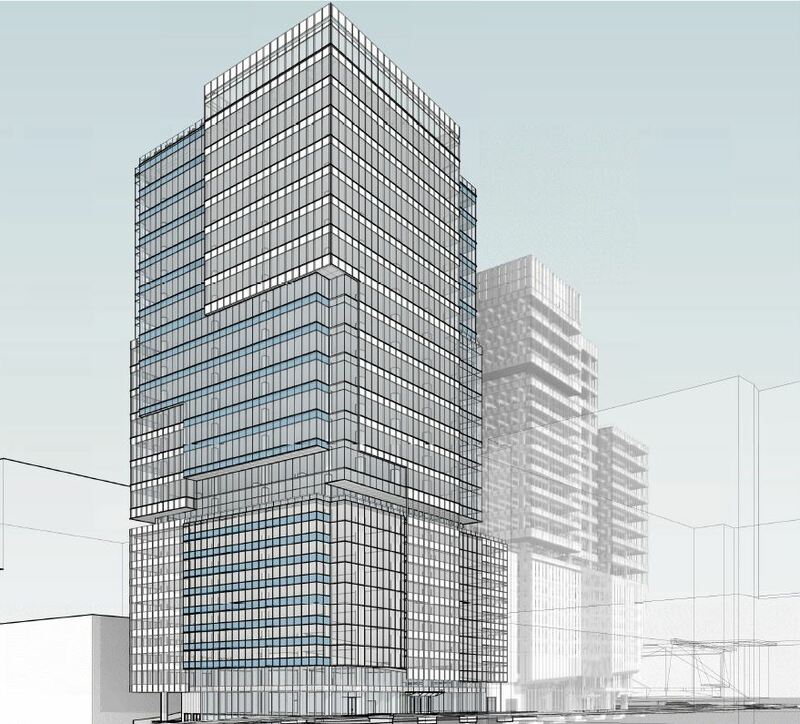 “The fact that so much office space had come online in Midtown means that the landlords are willing to be aggressive and innovative in what they offer in order to attract tech startups,” Dally said. “I saw a difference in Midtown versus other areas in that respect." Shorenstein Properties recently renovated several floors at Bank of America Plaza to appeal to startups -- think open plans with an industrial look, much like the ATDC itself. 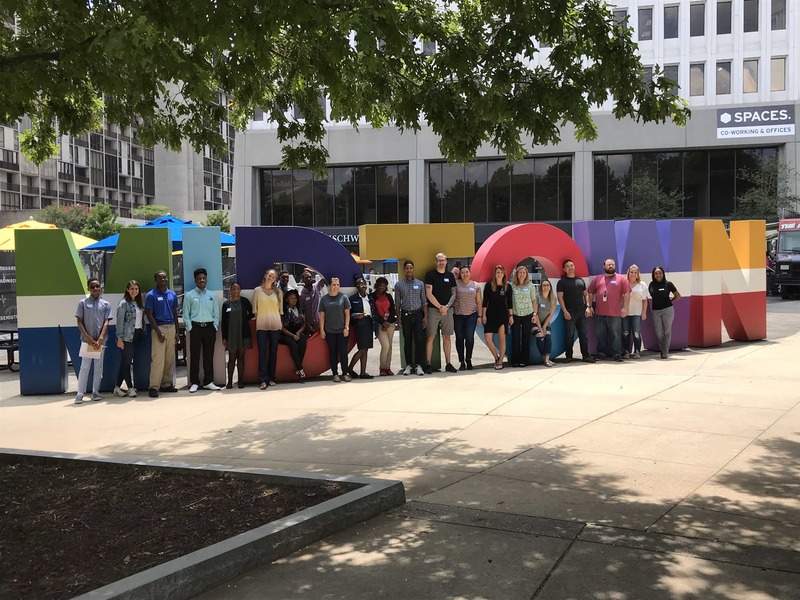 The benefits of ATDC don’t end for companies once they graduate, and many companies choose Midtown to be close to the incubator, other tech businesses and Georgia Tech. Being near the university also makes it easy to recruit interns and future employees. ATDC Director John Avery said he loves it when graduates stick around. Startups can be a “lonely endeavor,” said Avery, but everyone at the ATDC is going through a similar process. To learn more about the ATDC, click here. Springbot is located in Colony Square, making it easy to plan volunteer days with Boys and Girls Club of Metro Atlanta.